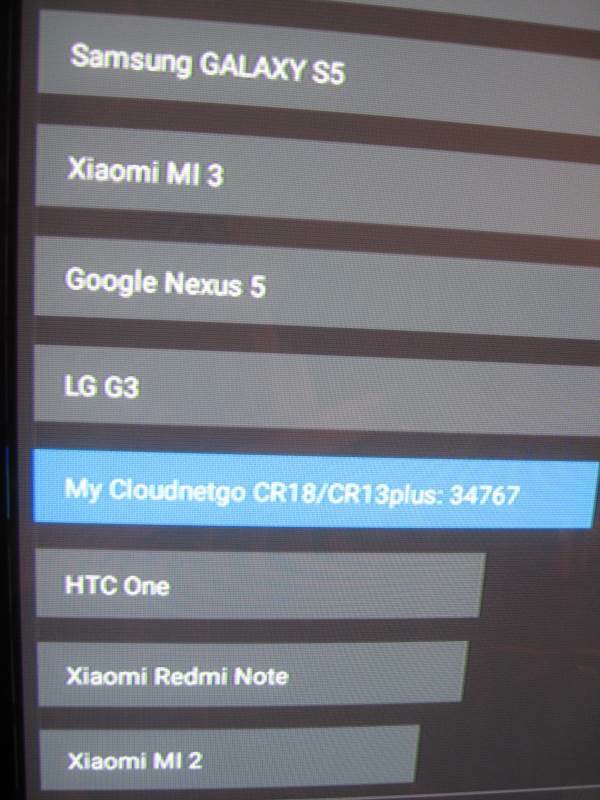 The CR18 is Cloudnet Go’s latest Android set-top box. The device is designed for low consumption and performance, a tiny Media Center that you plug directly on your HD TV to make it a Smart TV. If that isn’t clear by now, the best way to turn your TV into a Smart TV is one of these boxes. They’re more affordable than an actual Smart TV, and in general the experience is much, much better. MicSD card, up to 32GB 5V/2.5A, 3.5mm DC in. 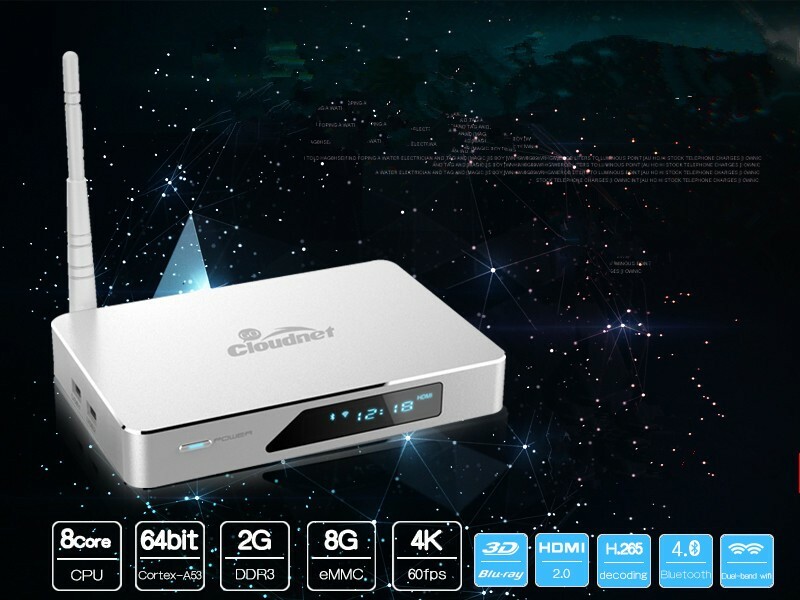 The CloudnetGo CR18 can be purchased here. The CR18 has a nice retro metal feel to it. It will, in general, not look bad in your living room. The digital screen and its blue leds add to the feeling of some decent electronic device. The CR18 ships with an HDMI cable, A/C Adapter, and a remote control. Although the remote control is a nice effort to provide something that works “out of the box”, as often with android devices, you’ll want to ditch it as soon as possible and replace it with a good portable keyboard+touchpad such as the logitech K400. Using the remote to enter your Wifi password requires more patience than I have. The remote is OK to navigate on your existing apps, but again, you’ll probably want something more robust fairly fast. 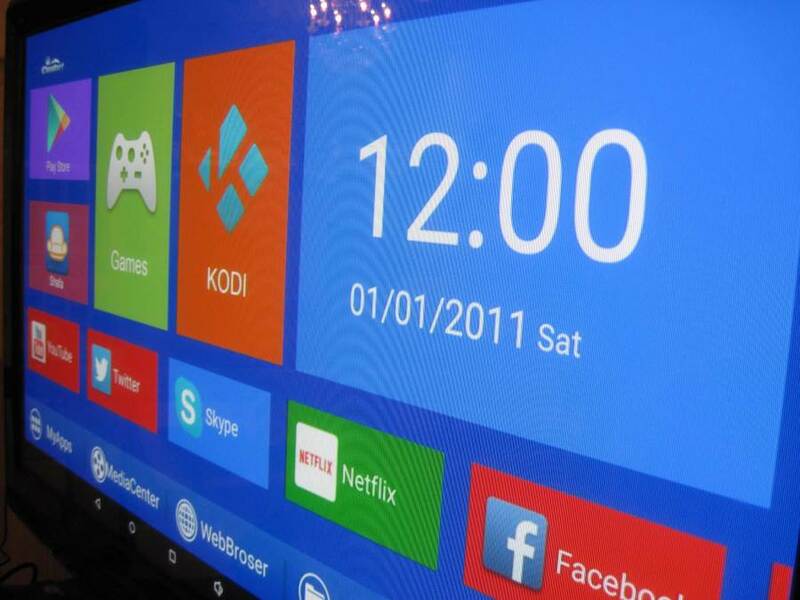 The cloudnet go CR13 ships with a bunch of preinstalled apps, including Youtube, Kodi (formerly XBMC) and Netflix. 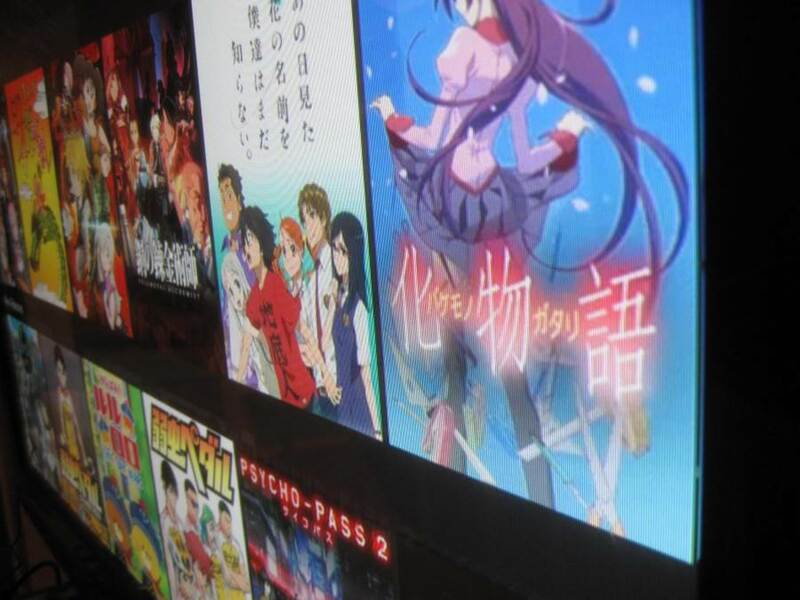 I t also includes some Chinese specific apps for TV shows and games. I had a quick look at those but decided to uninstall them. By default, the CR13 runs a very customized home screen, the Cloudnetgo launcher. I guess this launcher is “OK” and, just like with the remote, the effort to make this a good “media center” out of the box is very appreciated, but this wasn’t my cup of tea. The options let you switch back to a more normal launcher, which is closer to the typical Android experience. I think people who are not used to Android might prefer the Cloundet go home, but I didn’t. Because this is an Android box, and since it has access to the Google Play store, you can quickly get up to speed with your favorite apps. In my case, in addition to the preinstalled youtube, Kodi, and XBMC, I added Amazon’s Prime music, Amazon Video, and ES File Explorer. What I like with cloudnetGo’s set top boxes is that the Wifi Antennas work flawlessly. Gone are the days where one would have to wait for a firmware patch in the hope that their MK802 would finally get a reasonable connection. The CR18 has a strong Wifi Antenna, and connecting to my weak Wifi router was not an issue. 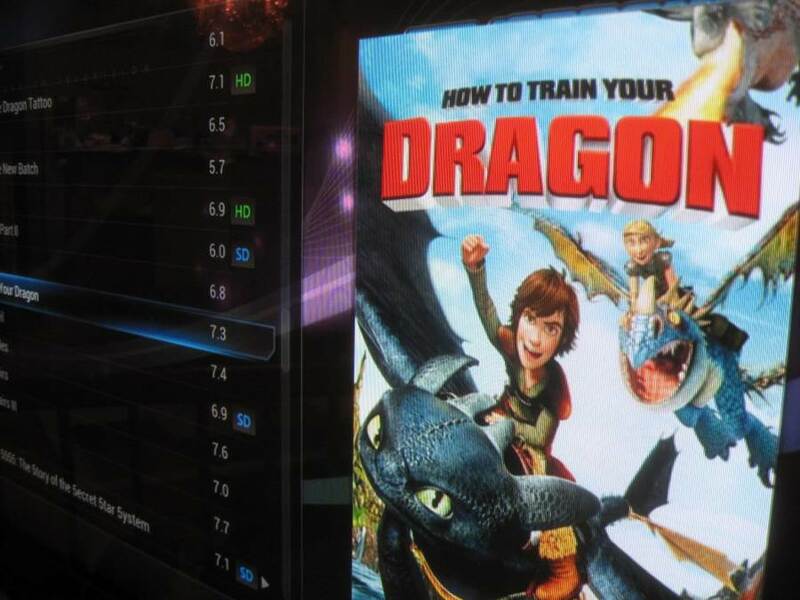 For Video playback, I tested Kodi (XBMC), Netflix, and Amazon Video. Kodi ran flawlessly from what I could say. I had run into hardware issues with the CR13, which had trouble decoding some specific movie files, and haven’t seen any of that with the CR18. We’re basically at a point now where I would expect Kodi to work out of the box on any Android box that come out now, and I can confirm this is the case for the CR18. The Device accepted my external USB hard drive without a problem, and I was quickly able to browse and play my files in Kodi. Amazon Video had problems running on the CR18. Although playback started and ran in HD, the movie would lag every 30 seconds or so, with sound disappearing for a few seconds. Not a good experience. It is worth noting that the Amazon Video app is extremely recent and I haven’t had the opportunity to test it on any other devices I have reviewed so far. I’ll need to dive a bit deeper to understand if this is an issue with the Amazon app itself, or the CR18. Netflix refused to start a single video. It looked like a general issue on the box itself, as I had the issue on various networks and all versions of the Netflix apk I could try. CloudnetGo assured me a firmware update will solve the problem. Unfortunately I was not able to install the firmware update they sent me to confirm this solves the issue. I haven’t tested 4K output, as I do not own a 4K TV at this point. I had no issue whatsoever using the Amazon Prime music application on the CR18. This contrasts to my experience with the CR13/s, where streaming music led to some weird delays once in a while. From what I could say, music quality was good, and I had no issue with streaming. I haven’t tested the optical audio out. I’ve already mentioned that the CR18 accepted my USB hard drive flawlessly. The Device has 3 USB Ports, and also accepts a Micro SD card (officially supports up to 32GB). Other ports include a LAN port (if you don’t want to rely on Wifi), composite output (why??? ), optical audio, coaxial, and of course an HDMI output. The typical user will only use the HDMI output to plug the device to their TV. It is worth nothing that unlike the CR13 series, the CR18 does not have an embedded mic or a camera. You can of course plug those in with USB if you want to use the device for some skyping. Most people will use the CR18 as a Media Center. But because it is powered by Android, anything could go. The GPU is modern enough that 3D Gaming is an option. I’ve used my Android boxes as FTP Servers and Torrent downloaders in the past, although I haven’t tried directly with this one. The sky’s the limit, as long as an Android app exists for what you intend to do. The CR18 ships with a 5V/2.5A ac adapter. In my tests, this was enough to power an external USB Disk as well as the signal for my remote keyboard, not mentioning the device itself. This is a slight step up from previous models that used only 2A. 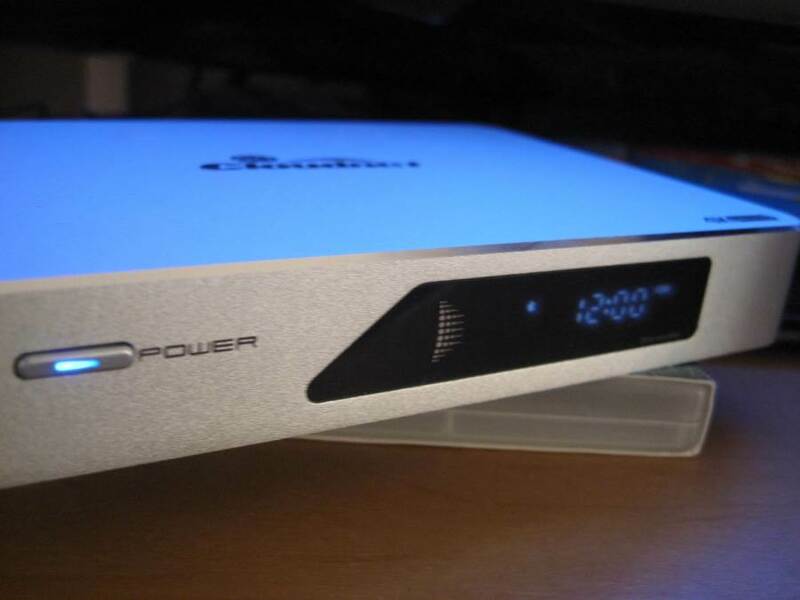 At 12.5 Watts, the device still uses much less energy than your typical laptop, and this makes it a great choice for a box that is “always on”. The device is a bit on the expensive side. Amazon recently announced the new Fire TV, and it basically has most of the features of this box. If you don’t care for the flexibility offered by a vanilla Android install, the Fire TV might be a better choice for you. In particular, I cannot recommend this box with its current firmware as Netflix does not work properly. I am also wondering how much the Octo-Core helps at this point, compared to the CR13s Quad core. how many Android apps actually use the Octo Core? I’d guess not so many.